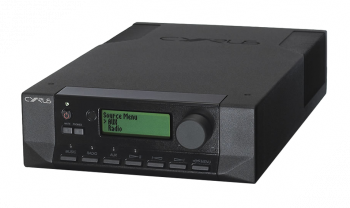 Cyrus Stream Xa music streamer / DAC Hot Deals - Huge savings! The USB input on this unit is compatible with most iPods, iPhones and iPads - please check our 'specification' section / the manufacturer's website for exact compatibility. 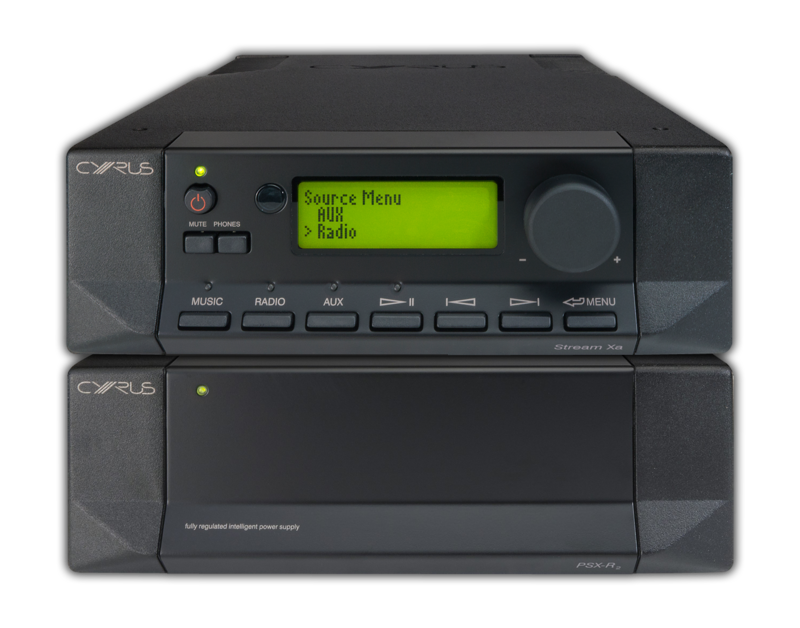 The sonic performance of this unit can be taken even further by adding on Cyrus' excellent external power supply (the PSX-R2) at a later date. 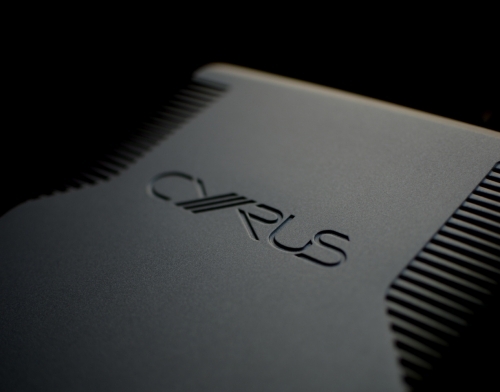 Cyrus’ outstanding, award-winning audiophile streamer - perfect for virtually any Hi-Fi ! If you’ve got a good separates-based Hi-Fi system and you want to get into quality streaming, then this is the perfect unit for you. It doesn’t matter what brand of equipment you are using, the Stream Xa will dovetail in seamlessly with it and reward you with fabulous sound quality. It’s as good as anything up to £2,000, yet it costs more like half that price. Take a look at the bullet points below, to see what makes the Stream Xa so special (and rather unique). - It supports BOTH of the high quality streaming platforms (Tidal and Qobuz). - In this highly volatile commercial world, if one of them goes bust, you’re covered! - It sounds brilliant and has been highly reviewed by lots of prestigious Hi-Fi magazines. - It won the coveted What Hi-Fi award for 'Best Streamer' 2 years on the trot. - It is extremely easy to set up and use (wired Ethernet or Ethernet mains extenders recommended). - It is small and comes in either silver or black, so it’s easy to house and is a good cosmetic match for almost any Hi-Fi. - Its green display, is a perfect match for Naim equipment, yet the Xa costs half the price of Naim’s cheapest dedicated streamer. - It has high quality digital and analogue outputs, so it will plug into any Hi-Fi. - It has a rear USB port that is compatible with iPhone / iPad. 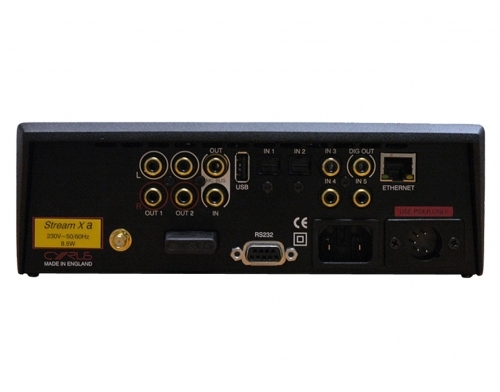 - It has a high quality DAC on board, which can significantly upgrade your existing CD player / TV / satellite box / games unit. - It has an excellent free Android / iOS App App (Cadence) which turns your smartphone / tablet into a sophisticated remote control. - It is not a 'dead end', because it can be further upgraded with an outboard power supply (called a PSX-R2) in the future. Stream Xa handles either wired or wireless Ethernet and supports all the major music file formats, right up to high performance 24 bit / 192 kHz, plus Internet Radio, plus Tidal and Qobuz streaming (subscription based services giving access to a massive music library of 35 million tracks, the service offers high fidelity CD quality lossless streaming). On top of that, it has 3 Coaxial and 2 Optical digital inputs, as well as a rear USB port, which is compatible with iPhone / iPod / iPad. 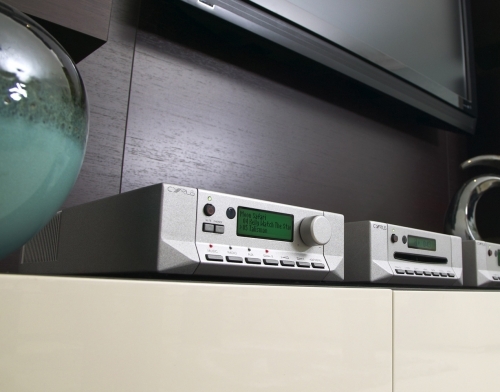 All digital inputs are routed through an ultra high quality on-board DAC, before exiting the Stream Xa via a 'normal' 2 phono lead, which can be plugged directly into any free line-level input on a separates Hi-Fi amplifier. The resultant sound quality is nothing short of sensational, making the Stream Xa an ideal purchase for both streaming enthusiasts and customers who simply want to enhance the sound quality of an existing digital source, such as a CD player / CD transport / DAB radio / TV / Satellite box / games console. Whatever you put through a Stream Xa, it sounds fabulous! Stream Xa has an optional remote control available (SRP £50) but you won't need one if you already have an Apple / Android Smartphone or Tablet, because that will do the same job, thanks to Cyrus' excellent free Cadence App. Cyrus fans have waited a long time for the perfect audiophile streamer / DAC to add to their system. This is it, but the reality is that the Stream Xa shouldn’t be restricted to just Cyrus systems - it is brilliant in virtually any good Hi-Fi. 2 Stream Xa Hot Deals!